José Olivarez is the son of Mexican immigrants. 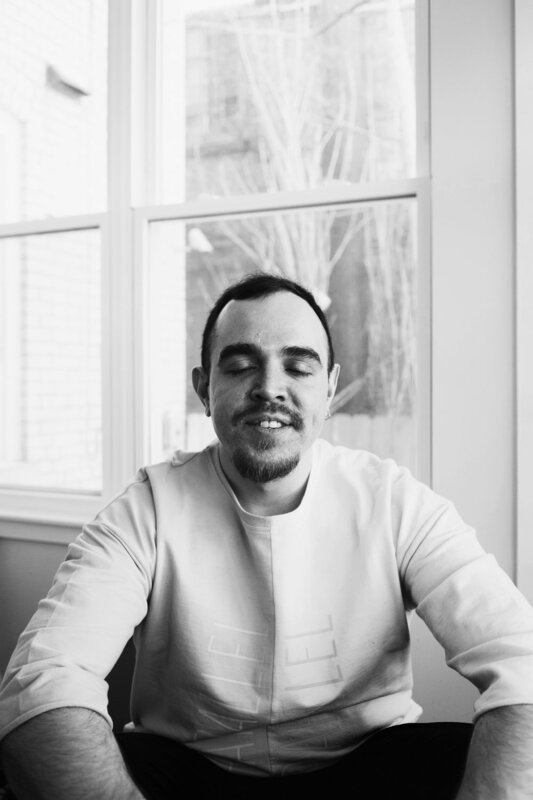 His debut book of poems, Citizen Illegal, was a finalist for the PEN/ Jean Stein Award and a winner of the 2018 Chicago Review of Books Poetry Prize. It was named a top book of 2018 by NPR and the New York Public Library. Along with Felicia Chavez and Willie Perdomo, he is co-editing the forthcoming anthology, The BreakBeat Poets Vol. 4: LatiNEXT. 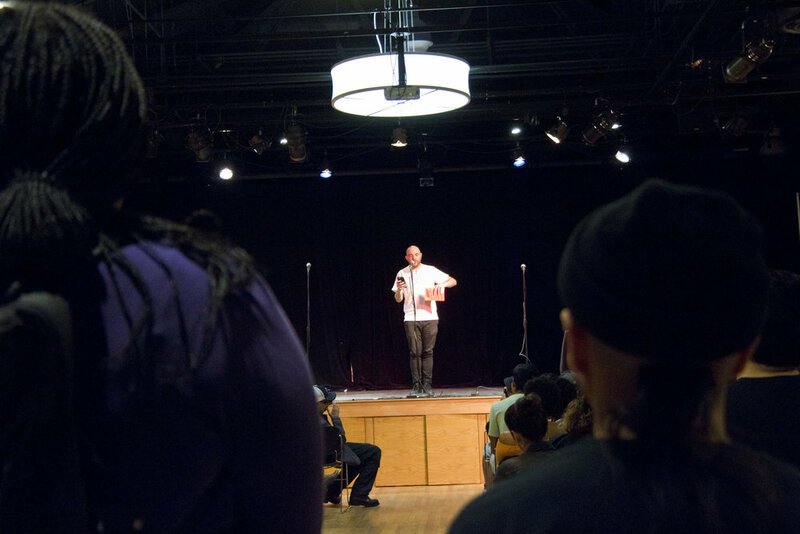 He is the co-host of the poetry podcast, The Poetry Gods and a recipient of fellowships from CantoMundo, Poets House, the Bronx Council on the Arts, the Poetry Foundation, & the Conversation Literary Festival. His work has been featured in The New York Times, The Paris Review, and elsewhere. In 2018, he was awarded the first annual Author and Artist in Justice Award from the Phillips Brooks House Association and named a Debut Poet of 2018 by Poets & Writers. He lives in New York City. José is a master teaching artist. As part of his #GenteficationWorldTour, he visited 20 different states in the fall of 2018 in support of his debut book, Citizen Illegal. He has taught poetry workshops and performed at community organizations, high schools, book fairs, and universities all over the country including the Adirondack Center for Writing, Lincoln Center, The Metropolitan Museum of New York, The National Museum of Mexican Art, Arizona State University, and The Miami Book Fair among many others. He is a part of of Costura Creative, a Latinx owned & operated talent agency representing contemporary poets & writers for speaking engagements, readings, workshops, multi-disciplinary collaborations & more. 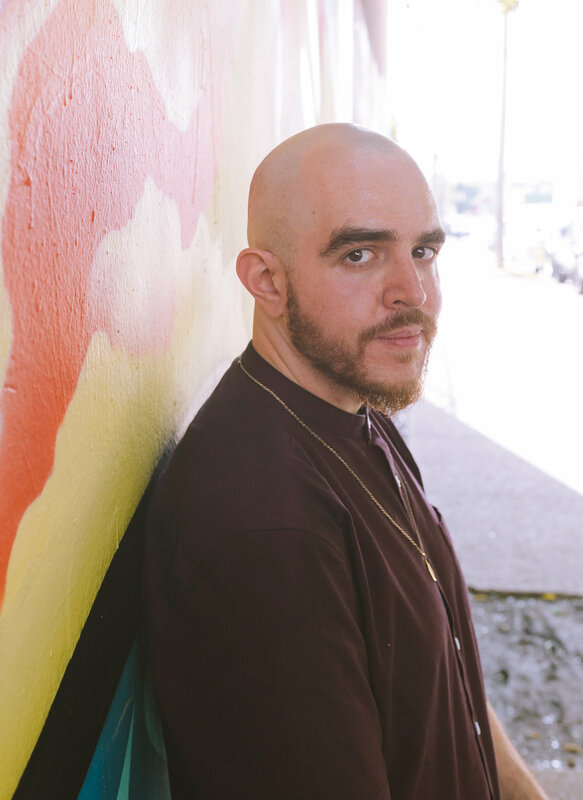 "Jose Olivarez’s indispensable debut poetry collection, “Citizen Illegal,” is a boisterous, empathetic, funny-yet-serious (but not self-serious) celebratory ode to Chicanx life in the contemporary United States." "It seems clear that Olivarez wrote from every part of himself to build this incredible book. He uses the tools of his craft to create a sanctuary for others, and to present alternative realities that might finally serve, rather than pillage from, brown and black people." What does being a citizen really mean, living in a brown body? And even if you do adopt more Westernized practices, how does that change how brown bodies are viewed in a white society? Olivarez exposes and dismantles these constructions slowly throughout his chapbook, brick by brick. With a searing precision, he takes aim at the American paradigm and how “folding” oneself to fit into it is fruitless. Hip-Hop is the largest youth culture in the history of the planet rock. 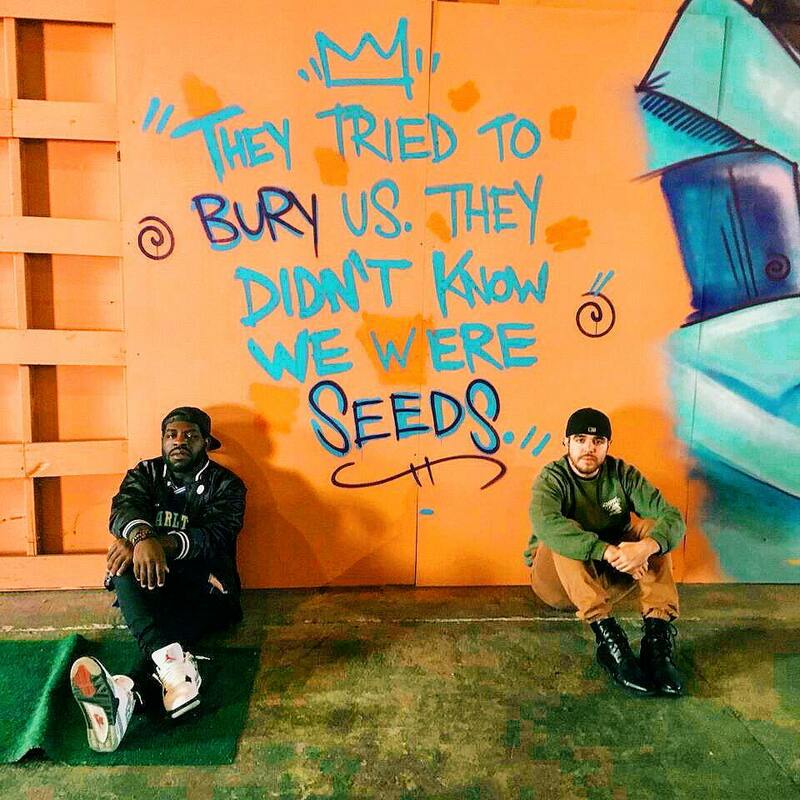 This is the first poetry anthology by and for the Hip-Hop generation. It has produced generations of artists who have revolutionized their genre(s) by applying the aesthetic innovations of the culture. The BreakBeat Poets features 78 poets, born somewhere between 1961-1999, All-City and Coast-to-Coast, who are creating the next and now movement(s) in American letters. 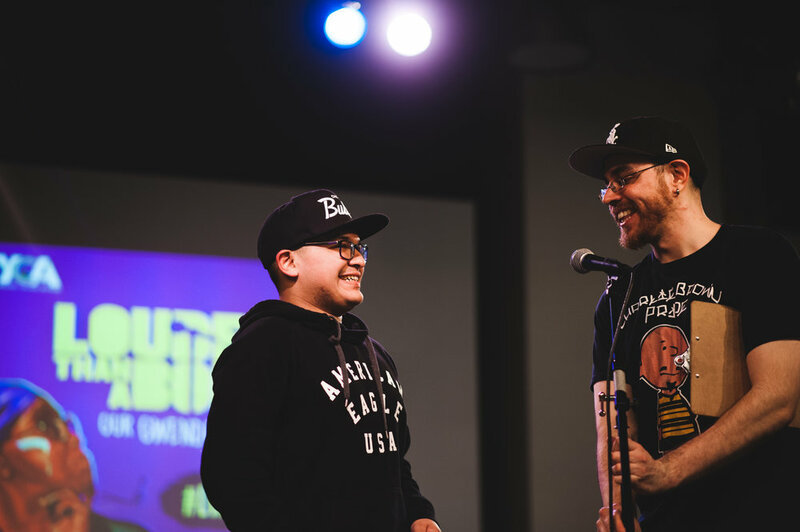 The BreakBeat Poets is for people who love Hip-Hop, for fans of the culture, for people who've never read a poem, for people who thought poems were only something done by dead white dudes who got lost in a forest, and for poetry heads. This anthology is meant to expand the idea of who a poet is and what a poem is for. The BreakBeat Poets are the scribes recording and remixing a fuller spectrum of experience of what it means to be alive in this moment. The BreakBeat Poets are a break with the past and an honoring of the tradition(s), an undeniable body expanding the canon for the fresher. This jam-packed dynamic-duo debut collection explores what it means to grow up loving basketball, playing it watching it, thinking about it -- and how the relationship between men and games/sports informs masculine identity in American culture. Whether it's watching ballers from different races square off for dominance of the court or the imperative of playing through the pain of a jammed finger, Ben and Jose go deep into how they grew into the men they've become and how they feel about evolutions still in the future.